As far as it's known, Bruce Springsteen has never performed the song live. God's counting on me, God's counting on you is a song written by Pete Seeger and Lorre Wyatt in 2010 in response to that year's Deepwater Horizon oil spill. The song was originally recorded and released by Pete Seeger and Lorre Wyatt as a single in October 2010. 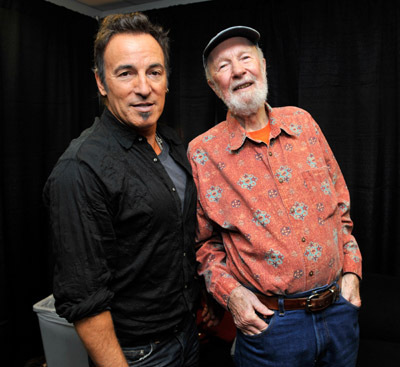 The song was re-recorded in 2012, this time featuring Bruce Springsteen on vocals, and released in September 2012 on Pete Seeger & Lorre Wyatt's album A More Perfect Union on the Appleseed label. 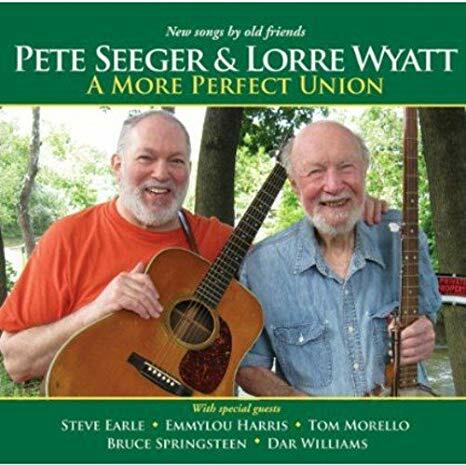 The album consists of a total of 14 new songs written by Pete Seeger and singer/songwriter Lorre Wyatt, and features guest appearances by Steve Earle, Emmylou Harris, Tom Morello, Bruce Springsteen, and Dar Williams. Bruce sings throughout God's counting on me, God's counting on you including lead on two verses. He recorded his part of the song in January 2012. 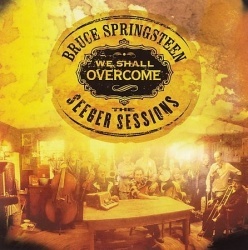 The complete line-up on the track includes Pete Seeger (vocals, banjo), Lorre Wyatt (vocals, guitar), Bruce Springsteen (vocals), The Rivertown Kids (vocals), C Lanzbom (additional guitar), David Bernz (additional guitar), Jeff Haynes (percussion), Adam Brzostoski (harmonica), Mark Murphy (bass), Chris Hughes (trap drums). The Rivertown Kids singers include Samantha Medina, Lucas Davison, Jaazaniah Gustave, Diana Barriga, Gabriel O'Reilly, Elyse Fox, Madeline Rosaler, and Kirsten Lutley. Additional singers include Timothy Hill, Jane Kelly Williams, Sue Altkin, David Bernz, James Durst, Dan Einbender, Karen Brooks, Jacob Bernz, Melissa Ortquist, Sarah Underhill, Bruce Taylor, Connie Taylor, Hayden Minifield, Travis Jeffrey, Jenny Murphy, Dave Tarlo, Laurie Siegel, Pat Lamana, Goldee Green, Ira McIntosh, and Story Laurie.